What is the time – really? Both in science and in society in general there is a rising demand for time accuracy. Extreme accuracy that is, and that involves sophisticated time measuring devices like hydrogen masers and caesium fountains (image above). Some of us need extreme precision on a level where milliseconds are insufficient: we want to measure time in nanoseconds and lower. Already high precision is crucial in many areas, like financial transactions involving stock-trading robots, mobile telephony, or astronomy and geodesy experiments. 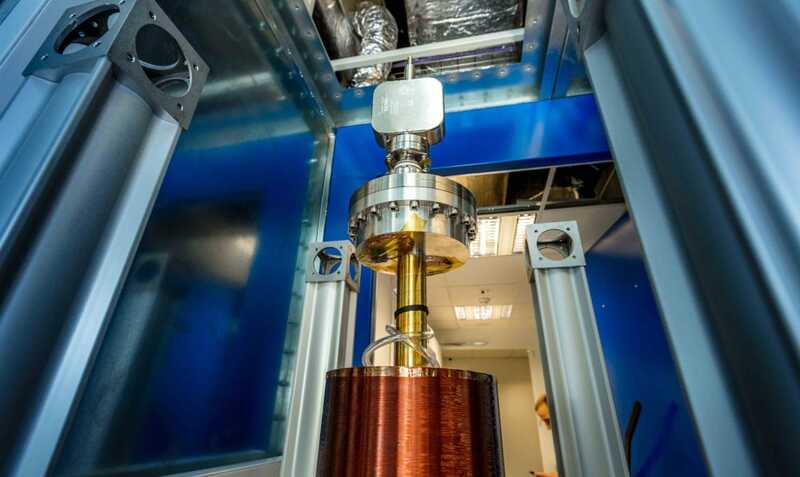 Now research & education networks are aiming to take time precision to a new level in the EU-funded CLONETS project, synchronising atomic clocks over fibre networks instead of via Global Navigation Satellite communication. At this point in time this extreme precision is needed in only a handful of scientific applications. But it is only a matter of time before more will join. Atomic Physics is one current scientific application. Another is Very Long Baseline Interferometry, VLBI, a powerful radio astronomy technique connecting radio telescopes placed on opposite sides of the world. The telescopes are steered to the same distant object, combining the data in powerful computers with the aid of extremely precise atomic clocks, allowing astronomers to see the universe in more detail than ever. And on top of that, thanks to clocks, they can “see” the same with a much smaller amount of data and computing power. The Clock Network Services (CLONETS) project unites European national measurement institutes, industry partners, scientific laboratories and research & education networks to develop a new generation of technology to distribute very high performance time signals over vast distances, up to continental scale. The four participating R&E networks are RENATER (France), CESNET (Czech Republic), PSNC (Poland) and GARR (Italy). Time distribution is important on various levels, both when it comes to establishing the exact time and when it comes to distributing it. Time is currently established as a global standard by BIPM, Bureau International des Poids et Mesures, in France, by comparing signals from over 300 atomic clocks in different locations around the world. Needless to say, all of them are extremely precise. But a few of them, so-called caesium fountains, are more precise still and are therefore used to supervise the rest of the clocks. Currently most of the 300 atomic clocks are compared to each other by satellite. But Global Navigation Satellite technology has caused problems, one of them being that you can only establish the exact time with at least a week delay. You need several days of comparisons and data post processing before you are sure of the exact time one week earlier. The CLONETS consortium now looks into how satellite connections can be replaced with fibre connections to design the fastest and most precise infrastructure for comparing atomic clock signals yet. According to Krzystof Turza from the Polish research & education network PSNC some long haul fibre connections between atomic clocks across Europe are already implemented. For instance, there are optical links in France, Germany, Poland, Italy and Czech Republic. However, they still do not provide one unified network for time and frequency comparisons. One important reason for that is, that extreme precision comes at a fairly high price. But already Krzystof Turza and his colleagues at PSNC have managed to help local scientists. – Here in Poland we have a group of physicists that need extreme time precision in their work. At first they wanted to have an atomic clock themselves, but those come at a high cost and require a lot of maintenance. Now we are providing that service to them over our network, and a lot of their colleagues are now joining in, requiring the same service. – In November 2017 we launched a caesium fountain here in Poland at the Poznan Supercomputing and Networking Center. The device was built in the National Physical Laboratory (NPL) in Teddington near London, under the direction of an outstanding specialist in the field of atomic frequency standards, Dr Krzysztof Szymaniec. The owner of this fountain is the Astrogeodynamical Observatory PAS, and it is managed by a group of people under the leadership of Jerzy Nawrocki. The caesium fountain is the second such clock in Poland and has joined the ranks of several most accurate atomic clocks in the world. The aim of the CLONETS project is to provide high performance “clock” services to various European research infrastructures. This extreme precision time service is aimed to be the backbone to provide support to a multitude of lower-accuracy time services, catering to emerging applications in e.g. banking, cloud computing, mobile telecom, Internet of Things or Industry 4.0. In the caesium fountain, a cloud of caesium atoms is cooled down and exposed to laser light in a vacuum chamber, resembling a jet of water in a fountain. The cloud of atoms during the flight upwards and during gravitational falling is illuminated by microwave radiation. If it has a suitable frequency, the atoms are stimulated to vibrate. If the microwaves are tuned to the resonant frequency, which excites the most caesium atoms, you obtain the standard realization of a second (from 1967 onwards a second is defined as the time equal to 9 192 631 770 radiation periods of the caesium-133 atom). The precision of a caesium fountain is mindboggling: a discrepancy of one second in 20 million years. The CLONETS project has received funding from the European Union’s Horizon 2020 research and innovation programme under grant agreement No 731107.